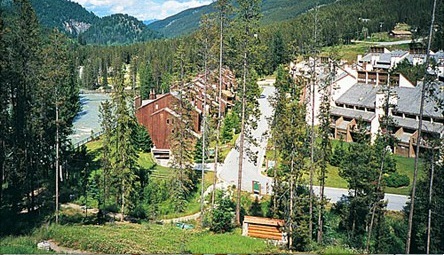 Enjoy 7 Nights in a 2 Bedroom Suite at the Grand Pacific Resorts At Panorama Vacation Retreat At Horsethief Lodge in British Columbia, Canada! Two-Bedroom units sleep up to either 6 or 8 and include 1 queen bed, 2 twin beds and 1 sleep sofa, and 1 full- and 1 half-bath. All units include a fireplace, TV, DVD/VCR, and a full kitchen including a dishwasher and microwave. Please note that there are many stairs leading to and within the units.